Not all actors come from North America. Hollywood has an irresistible pull that brings in many actors from all parts of the globe, thus Americanizing them and exposing them to American audiences. Some actors will spend some time working on their craft in their home countries. If they are successful in doing so, it is likely they won’t stay there long. Everyone desires to be famous, so when Hollywood comes knocking, most will answer that call as fast as they can. However, there are a select few who resist the pull of Hollywood and instead make a mark on their native film landscape. This sort of national pride is somewhat rare, but one of the actors who has epitomized this trait is Max von Sydow. While he did eventually come to America, he made sure to leave a lasting impression on his native land. This week’s two films look at Sydow’s work in the U.S. and Sweden. 1965 marked the arrival of Max von Sydow in American films with The Greatest Story Ever Told, wherein he portrayed Jesus Christ. Because he didn’t yet have partnerships with directors like he did in Sweden, his work was quite diverse. From the protagonist of The Exorcist (1973) to a Bond villain in Never Say Never Again (1983) to Liet-Kynes in Dune (1984) to PreCrime’s Director in Minority Report (2002), Sydow has managed to age gracefully through his numerous roles. His latest role in this winter’s Star Wars: Episode VII (2015) will expose him to a fandom who idolizes many of its key actors. Of course, his acting skill has been nominated for an Oscar twice: first for his performance in Pelle the Conqueror (1987), and second, 24 years later, for Extremely Loud and Incredibly Close (2011). A year after losing his father in the September 11th attacks on the World Trade Center, Oskar Schell (Thomas Horn) finds that an old man (Max von Sydow) has moved in with his grandmother (Zoe Caldwell). The man does not speak but instead has the words “Yes” and “No” tattooed on his palms (a la The Night of the Hunter (1955)). Oskar starts bringing the old man along on the scavenger hunt his late father gave him, conquering several fears along the way. 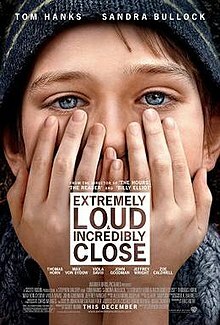 When he realizes the old man is probably his grandfather, Oskar plays the answering machine messages of his dead father, which causes the man to become emotional. This incident causes the old man to move out and tell Oskar to quit the scavenger hunt. Once it is revealed that the search was set up by Oskar’s mother, Linda Schell (Sandra Bullock), the grandfather eventually returns to live with Oskar’s grandmother. Sydow’s early career started in 1949, but it wasn’t until 1957 that his acting really flourished. This was due to his partnership with director Ingmar Bergman. 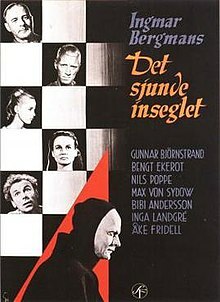 In total, Bergman directed 11 films with Max in the cast. Films like Wild Strawberries (1957), The Brink of Life (1958), The Virgin Spring (1960), and Through a Glass Darkly (1961) gave Sydow the chance to show Scandinavian audiences his acting skills. There’s no doubt that Hollywood took notice, but he managed to resist its pull, taking full advantage of the partnership with Bergman. Of course, most of these films pale in comparison to the first collaboration these two masterminds created: The Seventh Seal (1957). The scenes of Death playing chess are some of the most recognized scenes in all of European cinema, if not in the entire world. Antonius Block (Max von Sydow) is a knight who just returned to Sweden following his service in the Crusades. Finding his home country is now plague-ridden, Block encounters Death (Bengt Ekerot) and challenges him to a chess match to delay his inevitable demise. As the knight heads back to his castle, he and his squire, Jöns (Gunnar Björnstrand), run across some actors. Heading into a church, Block gives his confession that he wants to perform “one meaningful deed” to a priest who turns out to be Death. After enjoying a picnic lunch with the actors he met earlier, Block invites them to his castle. Along the way, Block encounters Death in a few more forms, eventually finishing their chess game. As a last-ditch effort, Block swipes the pieces off the board, which gives the actors just enough time to escape Death’s grasp, the final checkmate sealing the knight’s fate.